The US and India are similar nations in many respects. They have both had fairly stable trajectories of progress in the course of their democratic histories. Covering large areas of geographical territory, they are both nationalistic territorial nations with a colonial past. Significantly, they both have a history of successful civilian rule uninterrupted by military coups or takeovers. However, they appear to differ in one important aspect— in America, civilian leaders having military experience is common and politically advantageous. Multiple Presidents were serving Generals prior to ascending to the Presidency. In India by contrast, it is rare for political leaders at any level to have come from a military background. This difference is interesting because it speaks to the civil-military ‘problematique’, which has been a central concern of civil-military relations theorists for the past several decades. This problematique is the challenge of reconciling a military strong enough to do anything civilians ask them to, with a military subordinate enough to do only what civilians authorise them to do. A key question in this civil-military debate is the role of the military in the polity of a nation, especially in its decision-making process. A brief survey of military involvement in political decision-making in two of the world’s biggest democracies— India and the US — brings forth an interesting distinction. The difference in American and Indian attitudes towards military participation in politics, I argue, stems from the role conflict has played in the creation of both these nations. In a TIME article of April 2016, Mark Thompson discusses why Americans wanted a military general in the White House. Looking back at American history, the trend of military leaders eventually becoming civilian leaders is fairly typical. George Washington was the first general who went on to serve as the President of the United States, and twelve Generals have won American Presidential elections since. Significantly, only twelve out of the forty-three American presidents have never served in the military. In the 2017-2018 Congress, 102 members (18.8% of the leadership) had served or were serving in the military. A 2017 Gallup poll shows that American society’s confidence in the military remains high, at 72%. Additionally, public endorsement of presidential candidates by retired Generals and military officers has become a mainstay of the presidential race. In the 2004 Bush-Kerry presidential race, twelve retired generals and admirals endorsed Kerry, himself a military veteran. Kerry’s Vietnam war record became a matter of controversy, and General Merrill McPeak eventually appeared in television advertisements defending Kerry and his service in Vietnam. On the other side, retired General Tommy Franks who had the distinguished military record of being the architect of the Afghanistan and Iraq invasions, endorsed George Bush and went on to speak in support of his candidacy at the Republican National Convention. In 2008, Colin Powell , a retired four-star general and the National Security Advisor under George Bush (2001-2005) famously crossed party lines to endorse Obama on national television. Political endorsements from military leaders reached a fever pitch during the Clinton-Trump race. In September 2016, Clinton touted 100 endorsements from former military leaders after Trump displayed 88 retired military figures who backed his campaign. The involvement of military officials in American politics, whether as leaders or leader-makers continues unabated. The situation in India could not be more dissimilar. The civil-military dissonance is so pronounced that there seems to be no evidence of polls, policy briefs or literature that even engage with the notion of a civilian leader with military experience taking office. This lack of any evidence points to how deeply entrenched the civil-military separation is in the minds of the Indian populace and political and military elites alike. Since 1947 (when India became independent), there has not been a single Prime Minister with military experience. Defence analyst Nitin Gokhale opines that the ‘havoc’ wrought by ‘an indifferent polity and insensitive bureaucracy’ to India’s armed forces ‘has hit the ordinary soldier hard….The Indian soldier today stands at the crossroads, confused about his status in the society and unsure about his own role in a nation led by “faux peaceniks”’. Retired military men make rare appearances on news channels— never the campaign trail— and restrict themselves to talking about military matters. In recent years, the military has shown an increased willingness to get involved in the polity. In 2007, for example, the Indian army opposed the demilitarisation of the Siachen glacier. The Army chief General J J Singh publicly expressed his views more than once in a country where it is extremely unusual for military leadership to vocalise their disagreement with civilian leaders. These instances are, however, not a mainstay of political debates around policymaking and certainly never crossing the border into civilian leadership, in sharp contrast to the US. This poses an interesting question: What could be the factors that influence this significant difference in the way military involvement in politics is perceived in the US as opposed to India? I would argue that the role military conflict played in the formation of a nation and national identity is a significant factor in influencing attitudes to military involvement in politics. 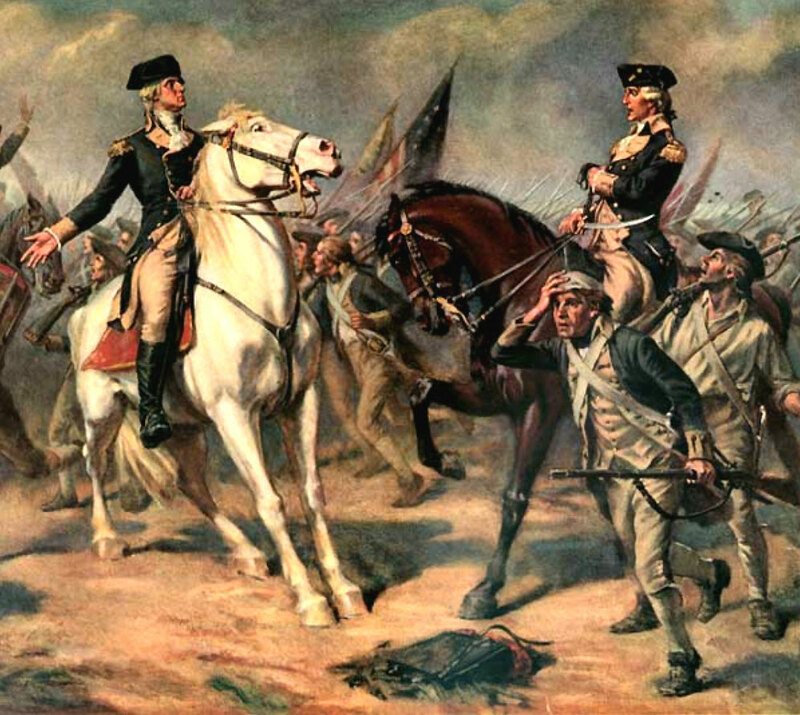 Military conflict played a significant role in the development of the US as a nation. The US has been in a state of either declared war or conflict for 79 of the 179 years, from just before the founding of Jamestown until 1785, nominally known as the end of the Revolution. It thus had a predominantly military experience of colonialism. The military also played a crucial role in the War of Revolution marking the end of colonial rule. The War was an event with mass participation— according to some historical estimates, two out of every five white American men who could serve did so either in the state militias or the Continental Army. This and Washington’s appointment as General of the Continental Army despite the ‘hypersensitive fear of military ascendancy’ are significant. Washington remained deferential to Congress even when its inefficiency threatened the army’s survival. Despite the prominent position held by the military, Washington set forth an example of civil supremacy while commanding the army. This attitude and his later Presidency could have contributed to erasing civilian suspicion of ex-military men becoming civilian leaders. In sum, it can be argued that armed conflict and the military experience— whether for independence or for individual rights as Englishmen within the empire played an intrinsic role in shaping the American identity as a society and nation. The Indian experience of the handover of power was very different. First, unlike in America, the Transfer of Power from the British to the Indian government was a predominantly administrative procedure that did not involve physical military confrontation. The army was seen as a tool by the British and Indian civilian leaders who used it for their own political ends. Second, the British recruitment policy for the colonial Indian army focused on drawing recruits from select communities, alienating the armed forces from the rest of the population involved in the nationalist movement. This was in contrast to the experience of the US militias, which democratised and nationalised military service and experience. This also built a deep-rooted suspicion between the civilian leaders of India and the military (which was headed by British commanders-in-chief for a few years even after India became independent). This suspicion led to institutional arrangements separating civilian and military spheres. 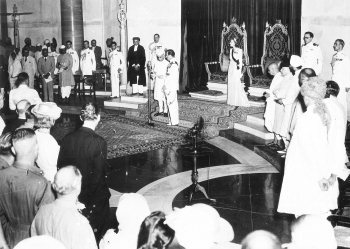 The position of the Commander-in-Chief of the Armed Forces was abolished, soon after independence in 1947, and the President of India (a nominal civilian head) was made the Supreme Commander of the Armed Forces. Significantly, a Cabinet Committee on Political Affairs occupied the top tier of higher defence management in India. This was a purely civilian committee and included senior ministers from the Prime Minister’s Cabinet. Additionally, lasting attitudes of civilian and military leaders also did not allow the overlapping of military and civilian leadership to the extent that was prevalent in America. In September 1946, a year before India became independent, Jawaharlal Nehru (the first Prime Minister of India) wrote to the Indian Commander-in-Chief Sir Auchinleck. As a ‘coup-proofing’ strategy, Nehru felt ‘the need to make the army firmly responsible to India’s elected representatives in the future’. This resulted in Indian institution-building regarding defence and military matters that continuously evaluates the army to prevent it from getting ‘out of control’. For example, the Commander-in-Chief was removed from the Cabinet in 1946— a privilege he had enjoyed thus far— to keep him out of political decision-making. Additionally, all significant communications and decisions have to go through civilian officials and politicians at the Ministry of Defence little or no military experience. Thus, decision-making in India with regard to military matters was firmly established as the preserve of the civilian bureaucrats. It can be proposed that the stake of military conflict in the creation of an independent nation is a factor influencing social and political attitudes towards the mixing of civilian and military spheres. This is not to argue that this is the only factor. The time periods in which India and the US secured independence are drastically different. Furthermore, India follows the Westminster parliamentary system and not the Presidential system, which influences public opinion on political leadership in general. Additionally, while India has been involved in a protracted conflict with Pakistan over Kashmir since independence, it has not had the direct experience of experiencing the World Wars or Cold War as an independent state or major party. These factors contribute to civilian perceptions of military involvement in political spheres. Lawrence Freedman in his recent work ‘The Future of War: A History’ emphasises the need to keep context central to the study of war and conflict. Differences such as the one identified in this article raise pertinent questions about the applicability of seemingly generalisable civil-military relations theories. This post makes a case for viewing these theories through specific historical contexts. Peter Feaver, “The Civil-Military Problematique: Huntington, Janowitz, and the Question of Civilian Control,” Armed Forces and Society 23, no. 2 (January 1996): 149- 78. Charles Royster, A Revolutionary People At War: The Continental Army and American Character, 1775-1783 (Chapel Hill: University of North Carolina Press for the Institute of Early American History and Culture, 1979). Alan Millet, Peter Maslowski and William Feis, For the Common Defense: A Military History of the United States from 1607 to 2012 (New York: Free Press, 2012), 165. Millet, Maslowski and Feis, For the Common Defense, 175. Millet, Maslowski and Feis, For the Common Defense, 179. Ayesha Ray. The Soldier and the State in India. (California: Sage Publications, 2013), 37. Ayesha Ray in Harsh Pant (ed.) The Handbook of Indian Defence Policy (New Delhi: Routledge India 2015). Lawrence Freedman, The Future of War: A History (London: Allen Lane, 2017).